Following the launch of the new Samyang 24mm Tilt and Shift lens earlier this year, Samyang have just announced the addition of two more lenses to their product range. July will see the launch of a 16mm f/2.0 wide-angle lens and a 300mm f/6.3 reflex lens, both products dedicated for digital SLRs and mirrorless compact cameras equipped with APS-C sensor. 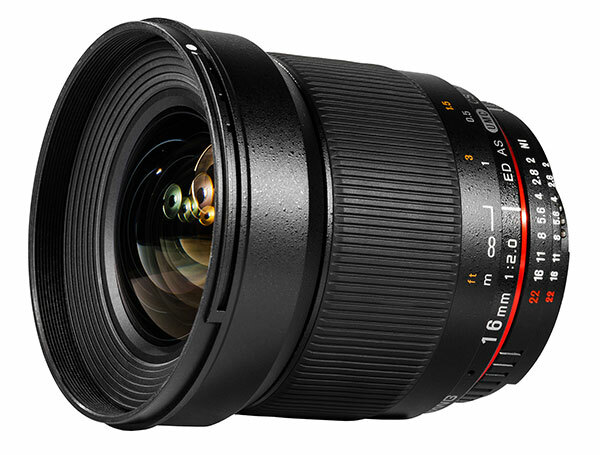 The new Samyang 16mm f/2.0 ED AS UMC CS is a manual-focus lens featuring an optical construction of 13 elements arranged in 11 groups, including one ED-type lens with an extra low dispersion ratio, one optical glass aspherical lens and one hybrid aspherical. The lenses have multi-layer anti-reflective UMC coating that ensures very good light transmission. The lens is available in the following mounts: Canon EF and M, Nikon F, Sony A and E, Pentax K, Fujiifilm X, Samsung NX, MFT and Four Thirds. The Nikon version features a CPU that allows electronic aperture control for auto exposure and i-TTL flash exposure. 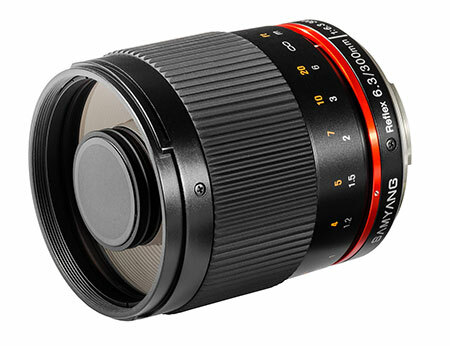 The Samyang 300mm f/6.3 ED UMC CS is a small-size, manual focus, reflex lens for mirrorless compact cameras. The optical structure features 9 elements arranged in 6 groups, including one ED-type lens ensuring high contrast and effectively preventing chromatic aberration. With its long focal length, small size and weight of only 315g, this lens is a perfect companion for both landscape and nature photography. Available Sony E, Fujifilm X, MFT and Canon M.